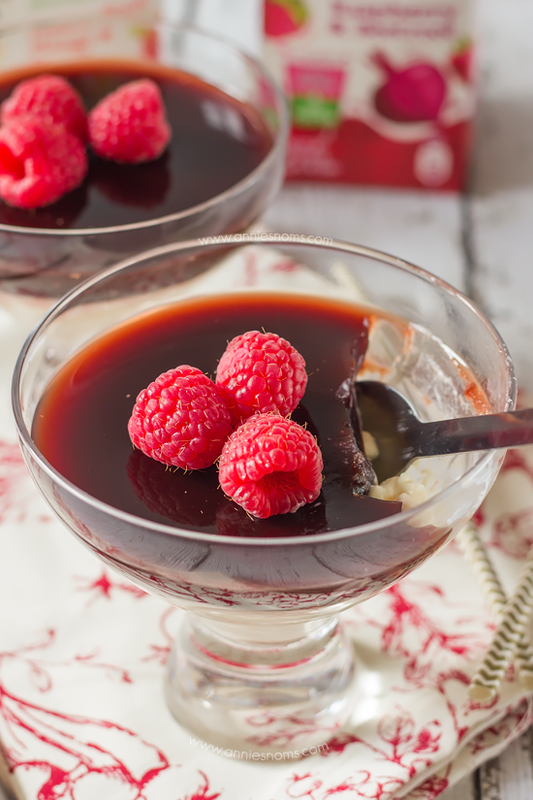 Are you in need of a simple, but unique and pretty dessert this Christmas? 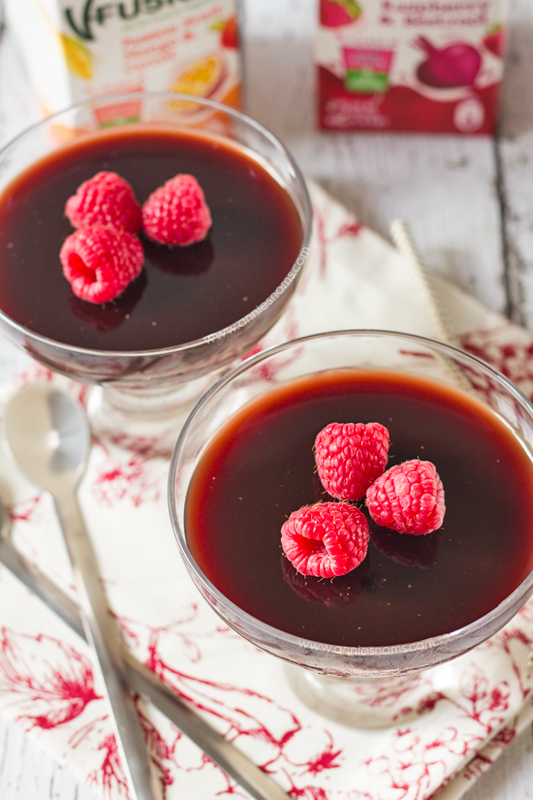 Look no further than this Raspberry and Beetroot Jelly with Spiced Panna Cotta! They look fancy, but the hardest part is waiting for them to set! Today I’m teaming up with the guys from V8 Juice to bring you a recipe which uses juice in a new and different way! When I was first asked to collaborate with V8, my mind went into overdrive with what kind of thing I could make. I think sitting, brainstorming recipe ideas is my favourite part of being a developer! – I just love coming up with things that will blow you away taste wise, but don’t take 10 hours to make! Yes, you read that right, 2 of your 5 a day – you see, V8 Juice is 50% fruit and 50% vegetable – in fact I’m that person who pushes most vegetables around the plate and doesn’t really like them, but I like to put good stuff in my body, so having beetroot in my juice is just perfect because it means I don’t have to have a plate of it! So perfect for kids as well – they need never know that they’re having vegetables! 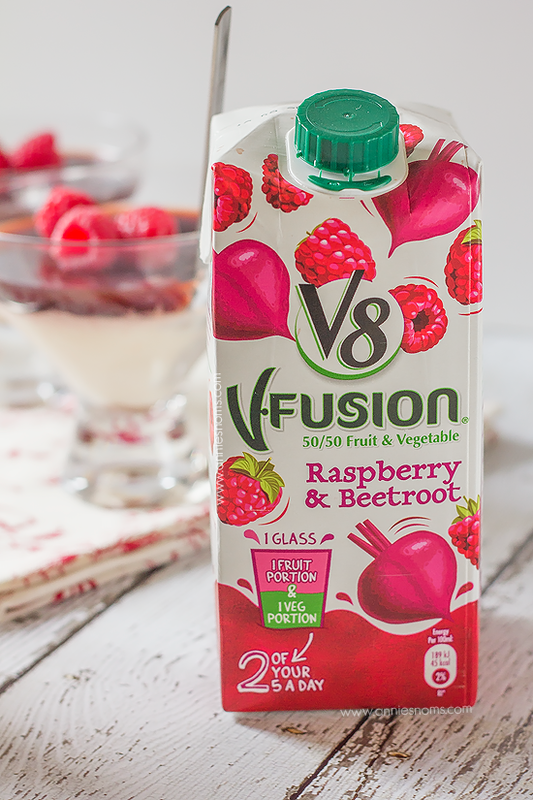 V8 sent me some of their Raspberry and Beetroot juice and a carton of Passion Fruit, Mango and Carrot – I decided to use the Raspberry juice for my recipe as I felt I could make something more festive with it. The Passion Fruit juice is absolutely delicious as well though, OH and I both loved it! How stinking cute would they look on your table this Christmas? 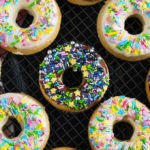 Your guests will think you’ve been slaving away for hours – don’t worry, your secret is safe with me. 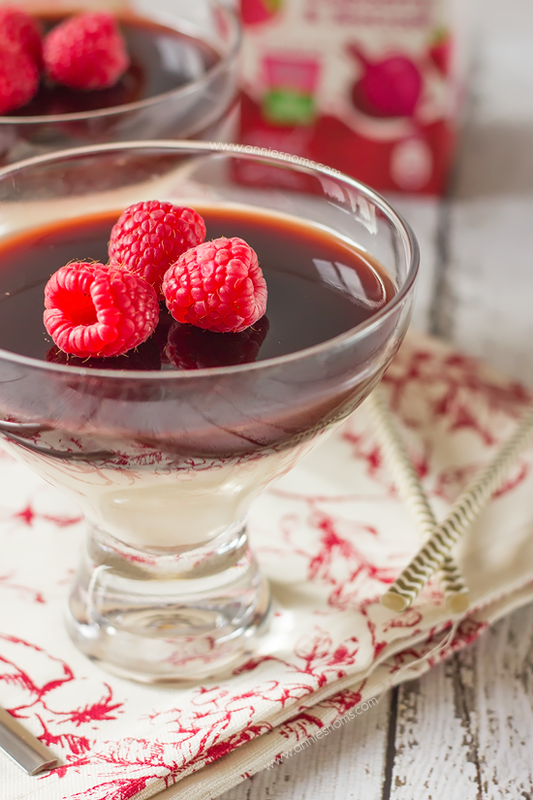 Nobody has time for lengthy desserts with all the other chaos of Christmas! So. 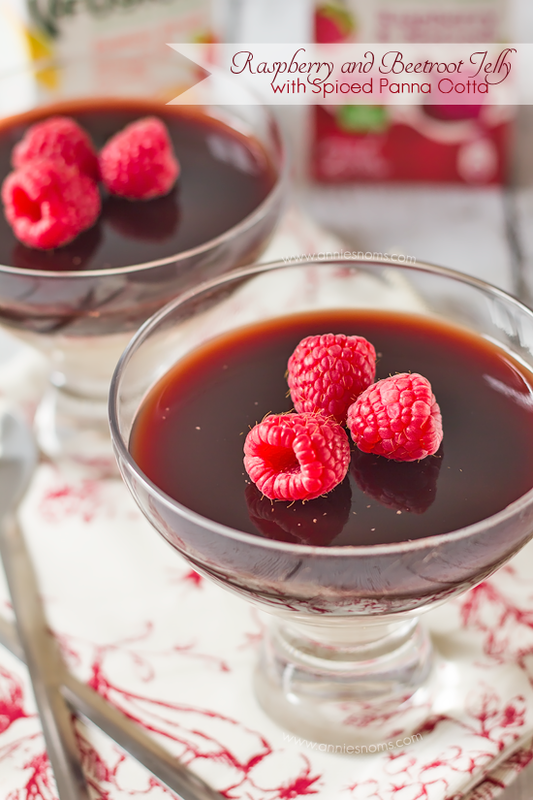 Let’s talk Panna Cotta. 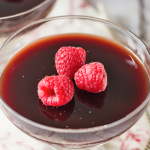 This is no ordinary panna cotta; I added just a little allspice and it totally transformed it! 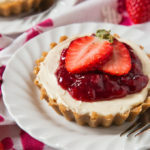 Don’t worry it’s not overpowering in the slightest – you just get a little hint of spice which works so well with the jelly layer. 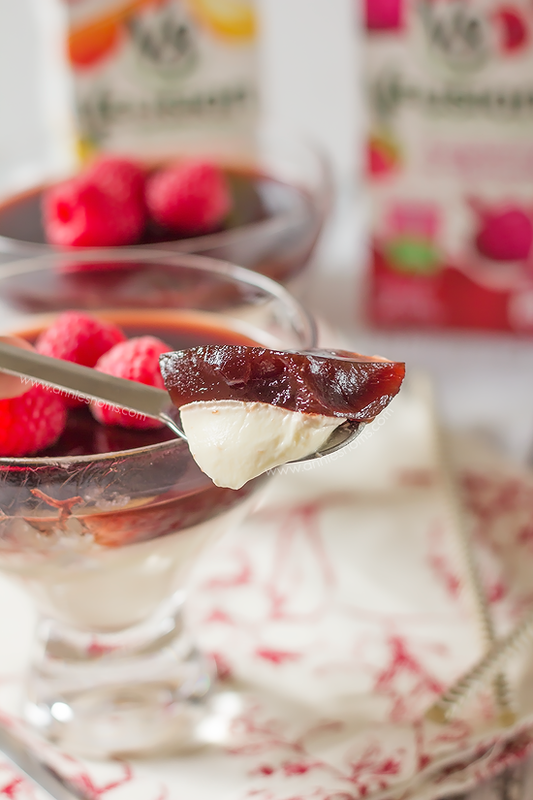 Panna Cotta is just one of those things which is super satisfying, creamy, indulgent… but do you know how you make it? 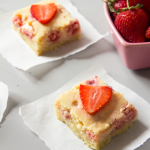 Bring milk, double cream, sugar, vanilla and spice to a simmer, then add some softened gelatine leaves. Can you even believe how easy?! 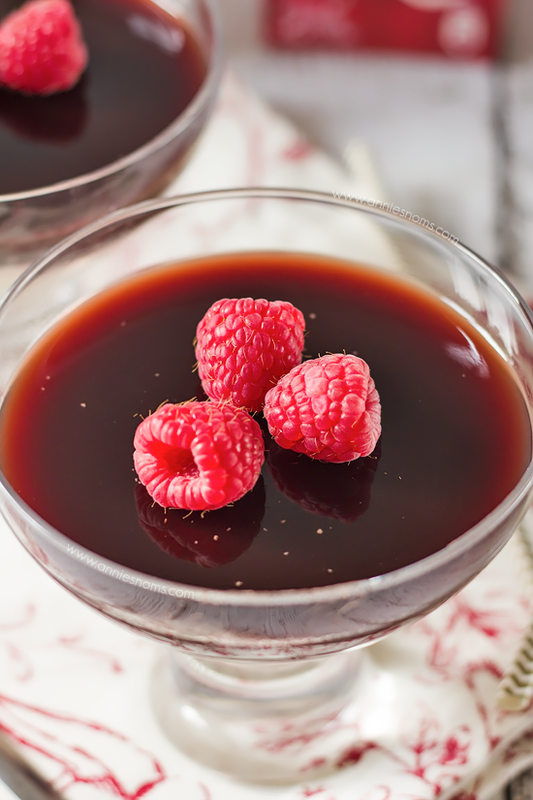 Now, onto the star of the show: the Raspberry and Beetroot Jelly. Again, really easy; you need 2 cups of juice, gelatine leaves and some sugar. Bring the juice and sugar to a boil, add in the gelatine, leave to cool, pour on the panna cotta and wait for the magic to happen. Just look at those layers ^^ – the jelly is sweet, fruity and earthy and then the panna cotta is like velvet – it just melts in your mouth. 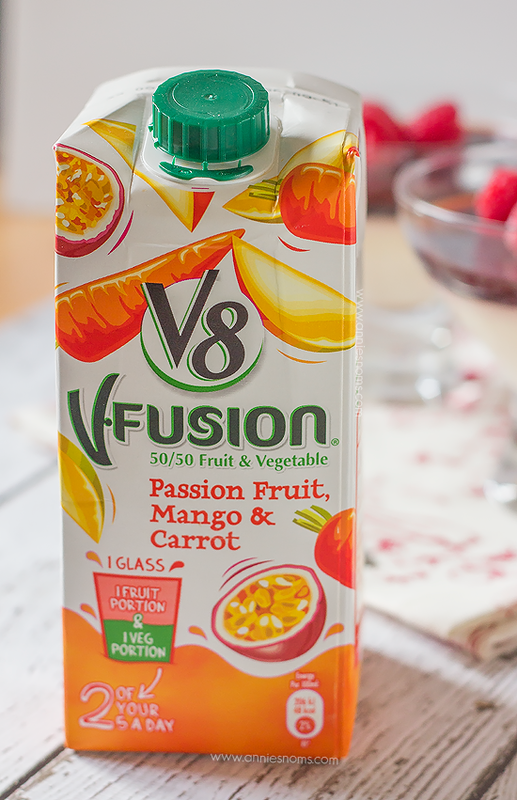 So, go buy yourself some V8 juice and get your family secretly eating vegetables after the indulgence of their Christmas dinner! I have never seen a layered panna cotta like this before.. 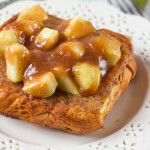 I just LOVE that you used V8 juice for it especially. 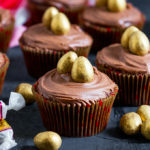 A recipe I need to try! I’ve never thought of using juice as a jelly – I will now ditch the jelly packets!! 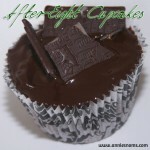 What a great treat this looks awesome! Thanks so much for sharing with Full Plate Thursday and have a very special Christmas week! 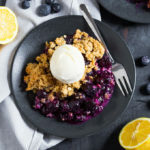 Your recipe is being featured on Weekend Bites today. Merry Christmas.